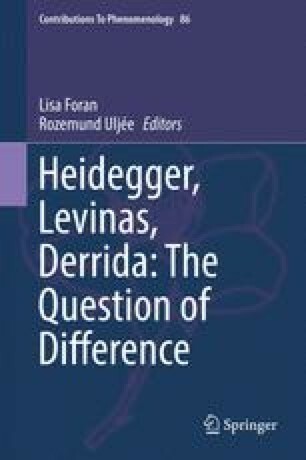 In this paper I seek to point out both the proximity and distance between Heidegger’s and Derrida’s understanding of time in their attempts to think difference. By showing how close Différance is to Heidegger’s structure of temporality of nearness, I argue how Heidegger’s understanding of truth in relation to time leads to an understanding of the history of metaphysics to a structure of possible revelation. However, if we are to understand Derrida’s Différance as a perpetually corruptive force, then how is it possible to ever conceive of Offenbarkeit in Being? The focus here will be set on the possibility of revelation as ‘event’ in Heidegger, and Derrida’s counterargument that the event is always impossible.